When I say the words “weight loss”, “stress prevention” or “wellness”, there is a great chance that multiple images and words pop into your head before the image of water or the word hydration; however, the awareness around the importance of hydration is growing and for a good reason. In today’s age, we have become more educated and consciously aware when it comes to weight loss. The more we discover that our body is holistic in nature, the more we realise that weight loss is far more than calories in and out. Your weight loss is heavily dependent on how your body reacts to food, which is dependent on your hormonal structure, which is dependent on your nervous system, which is dependent on your stress exposure and all of them are 100% dependent on your hydration levels. As you can see, the list can go on. I have only listed 30% of the benefits of staying hydrated. We have three main categories of stress: physical stress, mental stress and emotional stress. Hydration impacts all three of these categories, indirectly through dehydration putting unnecessary stress on us physically which then carries on to mental stress and emotional stress through hindered bodily function. As well as the fact that your hydration level plays a holistic role in your body’s functioning, on a macro level, your organs (such as your brain) are made up of 70% water and rely heavily on water. Your gut health is also heavily dependent on water. Similarly, on a micro level, your cells themselves are mainly composed of water, not to mention the importance of water for your body’s hormonal system which uses it as fuel for its transportation system. Stress is a pressure that is placed on your body. At times it’s good, and forces your body to grow; however, when stress comes from malnutrition or dehydration, it is the founding block of dysfunction in the body which will eventually lead to disease. 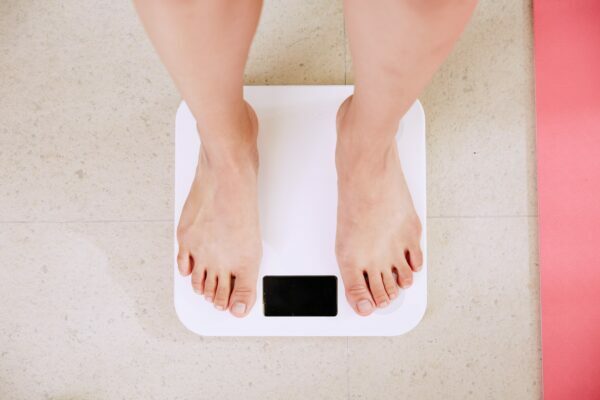 When following a weight loss program, you might experience a mass amount of weight loss during the first few days, especially when following a Ketosis Plan, this loss is often referred to as “Water Weight Loss”. Let me explain quickly what water weight loss is and what it is not. It’s often coined by personal trainers as “false weight loss” or seen by the general public as a form “dehydration”; however, neither are true. Water weight loss is not directly related to hydration, just like feeling swollen has nothing to do with being hydrated. Water weight refers to the fluid you retain between the cells, not in the cells. This is unused water and is often a result of food intolerances (wheat, dairy, gluten, etc.) or malfunction of your hormonal system. Water weight loss is good, as it’s the water that is seen on the surface and so it is often seen as body fat. For this reason, water weight loss gets two thumbs up from me, as it’s a perfect way to get mentally pumped up about quick weight loss and quick visual change. The way to know if you are losing fluid or water weight is to make sure you stick to the hydration principles in this blog. Dehydration or the disposal of hydration fluids happens only through sweating, an overheated body, or urination, so if you are not exercising and only following a diet plan to lose weight then you are just losing water weight in the first week. It’s often feared that if you drink too much you can over hydrate; however, the truth of the matter is we as a society are at far greater chance of dehydration than over-hydration. We recommend drinking 3-4 L of water a day, and we also recommend drinking it in 250 ml increments max, allowing your body a chance to slowly absorb your fluid, rather than causing mass urination or tummy bloat. Drinking this amount of water, you might want to look into salt/mineral/electrolyte supplementation or being conscious when eating foods to make sure you are consuming the necessary amount of salts/minerals/electrolytes. Quick tip: Salt is not bad. Sodium is actually essential when it comes to hydration, as it allows your body to absorb the water you consume. 1) When on a Keto Diet you naturally cut out high-fibre foods, which helps your body absorb water. At first, it takes your body a while to get used to this, so while it’s adjusting to its new way of absorbing water, you need to be mindful of drinking more. We recommend 3-4 L per day. 2) Due to taking on a Keto Diet you are eating cleaner and not consuming as much salt as you naturally would. Contrary to belief, salt is needed in order to help your body absorb water. 3) Lastly, Ketones, unlike carbs, are not stored as energy (resulting in fat). Instead, your body disposes of them in your urine, so you might find you are urinating a tad more than normal. We have cleverly planned hydration times into our KetoLean 4 Week Weight Loss Program just to make remembering to drink water easier and ensure you stay at your optimal hydration level. You may think this is not a big issue; however, having the right amount of water can be the difference between losing 3.5 kg and .9 kg in a week. Keto flu is a term used to explain a sort of detoxing phase when first going onto a Keto Diet. Apart from normal detoxing pains (headaches, low energy, foggy minded, temper), the Keto flu can extend to extreme headaches, dizziness, muscle cramps and flu-like symptoms. The cause for this relates directly back to your salt/electrolyte levels and your hydration levels. A typical remedy for the Keto flu which we abide by increases your water intake and salt/electrolyte levels until symptoms subside. Try increasing your salt intake of Himalayan or Celtic Sea Salt by 1 Tbsp, or if symptoms continue to check your health store for potassium and/or magnesium supplements.